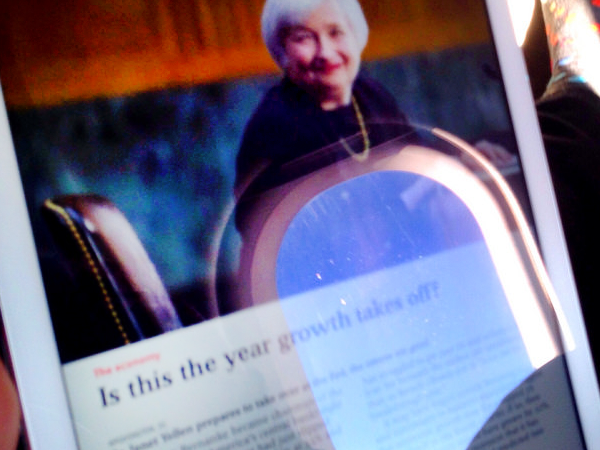 Home » The Federal Reserve Takes a Page from Groundhog Day… Is This 2016 All Over Again? The Federal Reserve Takes a Page from Groundhog Day… Is This 2016 All Over Again? Seven weeks ago, the Federal Reserve raised the benchmark interest rate for the second time in 10 years. At that time, the Fed said they planned to raise rates three more times in 2017. We suggested that three more rate increases this year was an aggressive plan that would threaten to derail the economy and send it into a tailspin. Has the Fed finally woken up to this possibility? The Fed left interest rates unchanged on Wednesday at the end of a two-day policy meeting, as expected. What was unexpected was the fact that the U.S. central bank gave no hint of when it will next raise rates again, after raising them a single time in 2016 in December. The market had expected the Fed to indicate that future rate hikes were on the way. Given their stated plan to raise rates three times this year, it strikes us as odd that the Fed avoided saying when the next rate hike might happen. Was their December statement merely one more “head fake” to keep Americans more optimistic than they should be? 2016: The Blueprint for 2017? The first trading day of 2016 was terrible, but nothing compared to the epic collapse in stocks that followed. When Wall Street opened on Jan. 4 the Dow plunged 276 points. By the end of the week the blue-chip stock gauge was down nearly 1,100 points, or 6.2% — its worst start to a year ever. While we haven’t seen this kind of selloff (yet), we are beginning to see weakness take hold in the stock market. Now that Trump is in office, some of the optimism caused by his election may be wearing off. In early January we pondered the thought that the Federal Reserve might try to sabotage Trump’s presidency by raising rates aggressively. But if that were the case, they would have raised rates this week. It would have been a perfect time to put a stake right through the market’s heart — and pin it all on Trump. Since the Fed did nothing and hinted at nothing, it now appears more likely that they’ll just follow the same game plan they used all of 2016: suggest the economy is improving, talk about raising rates (maybe), but ultimately do nothing. When trading at 10 times earnings, the market returned at least 11% a year on average for 10 years. When, like today, the market multiple hit 27 times earnings, returns were just 1% to 2% a year. “It’s a bit like buying a house at the top of the property market bubble: You end up with negative equity for the next 10 to 20 years,” Hutchins relates. With the U.S. stock market hovering near its recent record highs, it won’t take much to make it decline. Just one rate hike or “Brexit”-style event could send it plummeting. Furthermore, the Fed’s “all talk, no action” game plan seems to imply they are more worried about the economy than they are publicly letting on. In the midst of all this economic uncertainty, precious metals may be a major beneficiary. If you haven’t yet acted to protect your savings with gold, now might be a good time to do so.